The high today is 57 degrees here in Texas. We won't even know what to do with that kind of cool in October. I have no doubt my kids will be wearing parkas or ski jackets. ha! In typical Friday fashion, Narci, Andrea, and I are sharing our FAVORITES and we'd love for you to join us! First up, is another edition of cute girlies in some cute clothes. ;) Nordstrom reached out and asked me to highlight a few more kid goodies. I instantly knew exactly what I would talk about...the brand Tucker + Tate. I've mentioned them before, but they're worth mentioning again. With the great quality, affordable prices, and super cute pieces you definitely need to check them out. My favorite thing about that vest is-it's reversible! So she can wear it polka dot puffer style OR faux fur. I thought the dress looked a little Sideline Stylish to me. Maybe it's the cuffs at the sleeve? But you could pretty much pair any bow or headband with your school's color and your little will be representing! I thought the outtakes were too funny not to include. If you have girls, these outfits would be so cute for family pictures OR an LSU football game? The purple boots Ebby Lee has on were so cute with the fringe and she commented on her own how comfy they were. They're very similar to Uggs on the inside. Thank you to Nordstrom for sponsoring this portion of the post! The temperatureshere in Texas has been AMAZING! Britt's fall game was ON POINT on Monday! We went to the gym, ran a couple errands, and were home for lunch and naps. On Tuesday, Britt went for her six week check-up with her palate doctor. Tab joined us and we had a little lunch date afterwards. We got good news! WAHOO! And go back in six months! 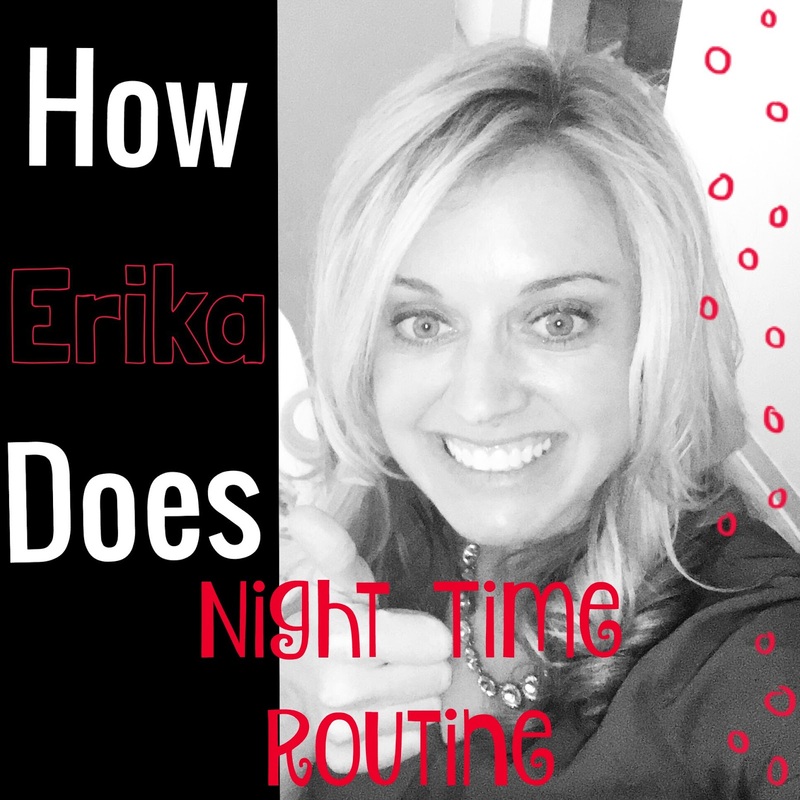 If you missed yesterday's post, it was all about my nightly skin care routine. You don't want to miss the comments. Lots of you recommended skin care lines or other products as well. I can't wait to order some! That multi colored top on Britt with the headband is perfection. So so cute! Ok, you know it only took me about 3.2 seconds to throw those purple boots in my cart, haha! My little Tiger needs them fo' sho. Happy Friday! These clothes and kiddos are adorable. Thanks to Britt I know just what outfit (polka dot dress) to get my daughter for her second birthday in December! We brought our "class pet" ziggy the zebra to disney last year! It just worked out that we had him that weekend. I was terrified of losing him! We brought him to the magic kingdom for a castle pic and then straight back to the hotel room where he stayed for the next 4 days. I could never show my face at preschool again if we had lost him! Britt is killing the fall outfit game, and I want Ebby Lee's cardigan!!! Yay for great news from the doctor! Have a great weekend! I can't stop laughing. It's Fluffy Hugs 2.0. Bahahahahaha! Your girls are too cute!! I'm loving that first outfit on Britt soooo stinking much! Happy Friday!! Honestly, Britt is such a cute little girl...love her little outfits :) Happy that you received good news from her doctor,and good luck with the tonsils :( Enjoy your weekend! We had the class pet this weekend and literally had to take pictures with a donut on Sat morning and a fairy book that night because we had ZERO things planned. Poor Penelope had the most chill weekend, but this mama sure loved it ;). Britt & Madely KILLED their costumes this year. I can't get enough. Too stinking cute. They may both hate y'all one day...BUT BY FAR THE CUTEST!